Home » Blogs , IPL , IPL 4 , T20 » Why IPL matters? After India's victory in the World Cup, IPL is back again with its 4th edition. It's obvious that after a long World Cup it's hard for some people to digest it especially when they are still in the euphoria of the World Cup victory. Then there are many people who don't like IPL because in their opinion it's a waste of the time, it's not cricket, just entertainment, a sheer business. Maybe somewhere they are right but not fully. Here I will try to explain why IPL matters with whatever knowledge I have about this beautiful game. 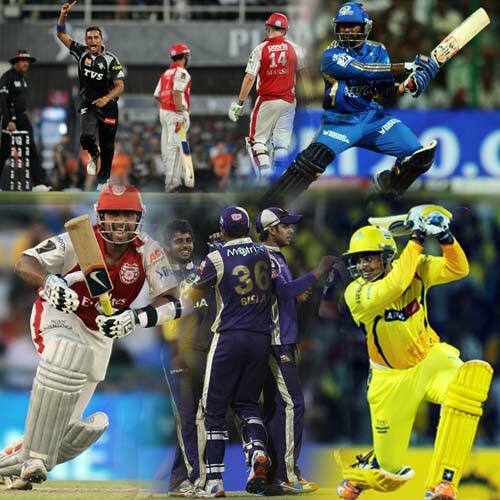 In my opinion, IPL is a great stage for uncapped, unknown and young players to show their talent, show what they are capable of to the whole world. It provides a big platform to the domestic cricketers to play with some fine International players, they can learn a lot from the experience of their seniors and the legends of the game, whom they have idolized from the beginning. It allows youngsters to share the same dressing room with them where they can discuss, share their problems and learn. It helps them in preparing themselves mentally for the bigger stage, the International arena. The players who were unknown to the world, now they are getting recognized because of the IPL. For example, the other day we didn't even know about Paul Valthaty but after his sensational hundred against the defending Champions Chennai Superkings, he became a star over-night. There are many other players who got benefited from the IPL, not only Indian players but some foreign players as well, some of them ended up with playing for their National sides. Shaun Marsh, Pragyan Ojha, Saurabh Tiwary, Murali Vijay, Yusuf Pathan and Ravindra Jadeja are some of the players in this long list. Representing their country is a dream of every player and at least 20 players got an opportunity to play for India because of the IPL. It allowed some struggling players like Suresh Raina and Shane Watson to re-discover themselves and establish themselves permanently in their National sides. When Australia were desperately looking for a good opener like Hayden and Gilchrist, Watson's success as an opener for Rajasthan Royals in the IPL provided them a decent opener. Currently, India have a big pool of players who can replace any player in the National side in case of an injury or any other reasons, where in the past when there were only Ranji matches and other domestic tournaments, very few players got the recognition because of the less number of viewers, but now due to IPL they have an option of showing their talent in front of International players and audience. I don't have any problems with the people who don't like IPL, but please don't say that it's doing no good to the cricket or cricketers, you can't even imagine how hard these youngsters try to get the recognition.